Rent our Party / Conference Room for your next event! 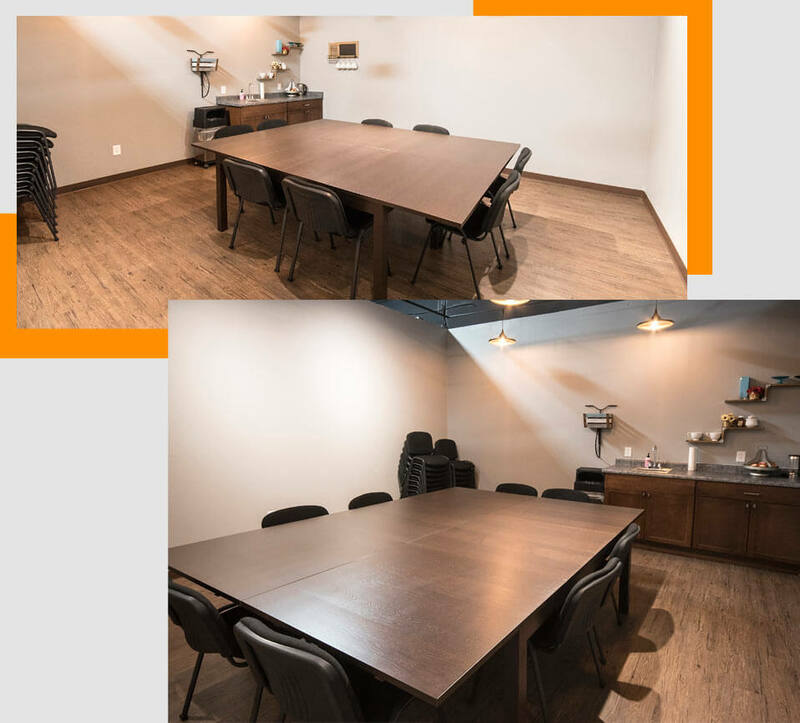 NM Escape Room’s brand new Conference/Party room is now available for booking! It’s ideal for special events, family get-togethers, reunions or corporate outings, and it’s customizable to fit your needs. Consider booking it before or after your escape room adventure. The conference and party room costs $50 per hour. It can be booked during our regular hours, or by appointment during weekdays outside of our public booking hours. NM Escape Room is the perfect place to enjoy a unique, one-of-a-kind experience! Our Party Space is perfect for meetings, birthday parties or corporate events. Nothing compares to New Mexico Escape Room. It’s a unique experience, challenging your intelligence, creativity and teamwork skills. It’s also the most fun way you can spend an hour in our completely unbiased opinion. You will need to work together to solve intriguing and challenging puzzles, and escape the room in less than 60 minutes. Contact us with any questions you have in reserving this special space. You asked and we listened! We have upgraded our booking options to allow rooms to be booked as "private".